no-one is a fashion and lifestyle store based in London. 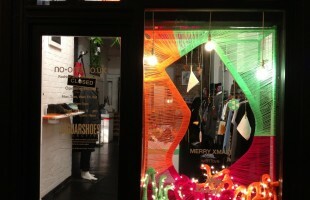 Linnea Apelqvist created the woolly christmas window display in collaboration with Supermarket Sarah. 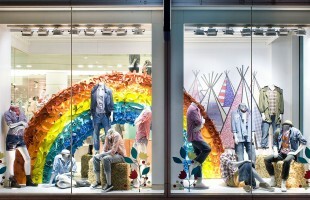 Linnea Apelqvist, Prop Stylist & Set Designer and Creative assistent Lauren Hazelton worked on a cool Rainbow Window Display for GAP. With the guitar and flowers created in the rainbow, the tents and the straw there is definitely a Country Summer Vibe going on there.